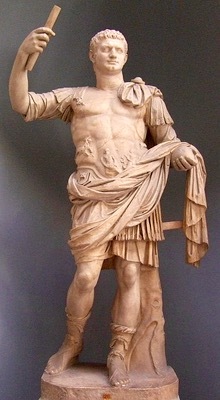 Emperor Domitian, son of Emperor Vespasian and brother of Emperor Titus—Reigned 81-96 when he was assassinated at age 45. 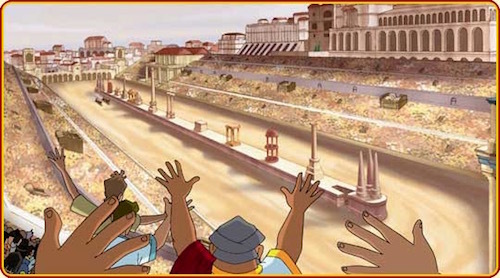 The Circus Maximus was designed for chariot racing, but other events were held there. There were processions for and celebrations of their gods and goddesses, especially the goddess of the moon Luna and Ceres, goddess of grain, as well as gladiatorial contests and wild animal hunts. Because the wealthy in Rome organized and paid for these entertainments, they were free to the public. The Roman public was insatiable. By the time of Augustus, almost a fourth of every year was devoted to a Circus. In order to curry favor with the plebeians, Emperor Domitian once sponsored one hundred chariot races in one day. 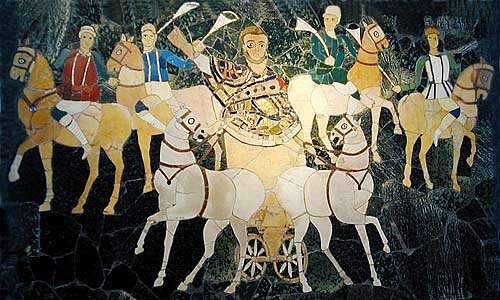 Chariot racing was the most popular sport in Rome. 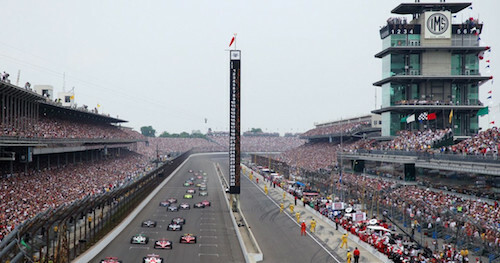 There were four racing teams (Latin factiones): the Red Faction, The Blue Faction, the White Faction and the Green Faction named for their racing colors. The Romans were as fanatically devoted to one of their four Factions as people today are devoted to the Yankees (the Blues and Whites) or the Steelers (the Blacks and Golds). 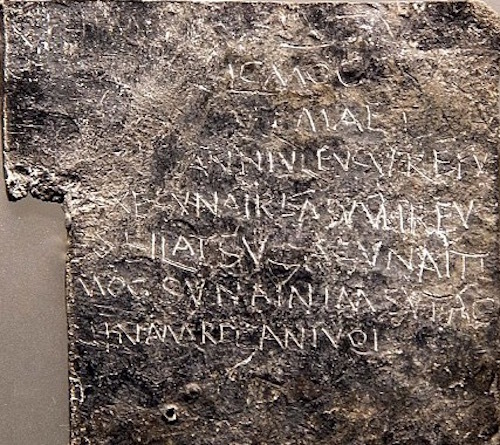 The Romans were as fanatically devoted to one of their four Factions as people today are devoted to the Yankees (the Blues and Whites) or the Steelers (the Blacks and Golds). Pliny, also, did not understand team loyalty. 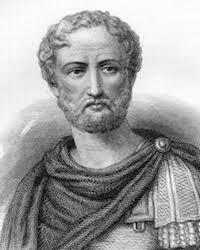 Pliny’s uncle, Pliny the Elder, was of the same opinion. He is incredulous when he records that during the Republic in the 70’s BC, a charioteer for the Reds had been killed and a distraught fanatic fan (both words come from the Latin fanaticus meaning “crazy”) threw himself on his funeral pyre and died with his hero. Both Plinys were far removed from teams and team loyalties. Nowadays if a Red Sox player (Reds) joins the Yankees (Blues), a Red Sox fan does not abandon the Red Faction. It’s not the players. It’s the team. 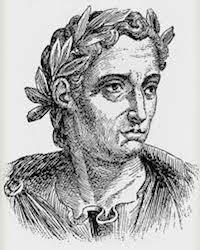 Pliny the Elder (23-79 AD) died during the eruption of Mt. Vesuvius in August of 79 AD. 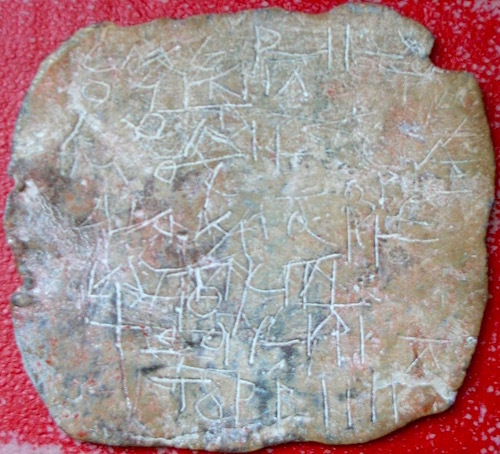 After reading these curses, one can believe that following the end of the chariot races in ancient times, there were often rioting and deaths. 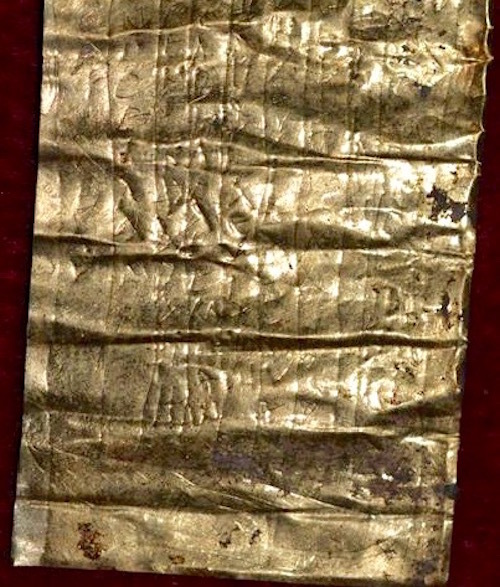 30,000 people were killed in c. 550 AD in Constantinople over “loyalty to colors.” Soccer games in Europe and South America are still times of heavy police presence because of the deaths inspired by team loyalty, though it is moot whether such “curses” would ever be publicly uttered or written today.